Delegates from the Conference of the American Armies have been introduced to American history and culture in the course of their week-extended check out Aberdeen Proving Ground, Md. Soon after getting welcomed aboard the U.S.S. Constellation in Baltimore’s Inner Harbor, the delegates spent the subsequent day and half in session, collaborating how to integrate science and technologies into peacekeeping and disaster relief operations throughout the western hemisphere. 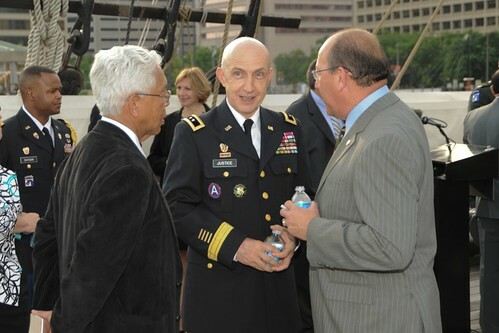 They have been then treated to an all-American barbecue at Fort McNair in Washington, D.C., prior to attending the Army Twilight Tattoo carried out by the Military District of Washington.